Sweepstakes ends Friday, February 15, 2019 at 5 PM CT. Eligibility: To enter the Sweepstakes, you must be a legal resident of the 48 contiguous United States or the District of Columbia, be 18 years of age or older at the time of entry, and have a valid email address and internet access prior to September 18, 2018.  Sweepstakes is void in Puerto Rico and where restricted or prohibited by law. The Sweepstakes, and any website pages and advertisements relating thereto, are intended for viewing only within the United States. Employees of Sponsor, Ryman Hospitality Properties, and any other entities involved in this promotion, their affiliated companies, parents, subsidiaries, website developers and administrators, and advertising and promotion agencies, (collectively, “Sweepstakes Entities”), and their immediate families and members of their households, are not eligible to participate in this Sweepstakes. Entries generated by robots or scripts are considered to be a direct violation of these Official Rules and will result in immediate disqualification of any and all associated entries. Drawing and Notification: One (1) grand prize winner will be randomly selected from among all eligible entries received by an Ole Red representative at the end of the promotional period. Odds of winning the prize depend on the number of eligible entries received. In case of dispute as to identity of a winner, such entry will be declared made by the registered user of the email account, and if a prize is won, and such registered user is a valid entrant, the prize will be awarded to such registered user. The “registered user” is the natural person to whom an email address is assigned by an Internet access provider, online service provider or other organization responsible for assigning email addresses for the domain associated with the submitted email address. All entries will be deemed to have been made by the registered user of the email address. Winners will be notified within 48 hours of drawing. One (1) grand prize winner will receive one (1) $200 Visa Gas Gift Card, VIP admission for two (2) to the Grand Opening event for Ole Red Gatlinburg (TBD, March 2019), one (1) Attractions Pass from the Gatlinburg Convention & Visitors Bureau, two (2) passes to Anakeesta outdoor theme park (including the Scenic Chondola Ride, 16 Bridge Tree Canopy Walk, Memorial Forest Wall, Vista Garden Walk, and Treehouse Village Play area), two (2) passes to Ober Gatlinburg (including Snow Tubing, the Aerial Tramway, the Ski Mountain Coaster, Ice Bumper Cars, the Scenic Chairlift, Ice Skating, the Alpine Slide, and other attractions depending on weather), two (2) passes to all eight (8) Ripley’s attractions in Tennessee, and two-night accommodations for two (2) in an Executive One Bedroom Suite at Margaritaville Resort Gatlinburg, complete with complimentary valet parking, Welcome Beverages at the Chill Bar at Margaritaville, and a couple’s massage at the St. Somewhere Spa. All prizes are subject to availability. Approximate value of prize: $2,000. Except as specifically provided herein, Prize packages do not include any other item(s) not specifically described in these Official Rules. Prize cannot be used in conjunction with any other promotion or offer and may not be separated. Prize may not be transferred or assigned except by Sponsor. Only listed Prize will be awarded and no substitutions, refunds, cash or credit equivalents or redemptions will be made, except that Sponsor reserves the right to substitute any prize package with another prize of equal or greater value in the event that the advertised prize (or any component thereof) is not available. Reporting and payment of all applicable taxes, fees, and/or surcharges, if any, arising out of, or resulting from, acceptance or use of a prize, are the sole responsibility of the winner of that prize. The Sweepstakes Entities expressly disclaim any responsibility or liability for injury or loss to any person or property relating to the delivery, use, misuse, acceptance, participation or possession of the prizes awarded. The Sweepstakes Entities make no representations or warranties concerning the appearance, safety or performance of any prize awarded. Restrictions, conditions, and limitations apply. Sponsor will not replace any lost or stolen prize items. Prize Conditions: Prize winner may be required to sign, notarize and return an Affidavit of Eligibility and Liability/Publicity Release and provide any additional information (such as social security number), that may be required by Sponsor, except where prohibited by law. Except where prohibited by law, potential winner must return all required documents within 72 hours following attempted notification or prize may be forfeited. Return of any prize/prize notification as undeliverable, or inability of Sponsors and Administrators to contact a potential winner may result in disqualification and selection of an alternate winner by random drawing. Limitations of Liability: Winner and entrants also agree to release, discharge, indemnify and hold harmless the Sweepstakes Entities, and each of their respective successors, assigns, parents, affiliates and their respective officers, directors, employees, representatives and agents from and against any claims, damages or liability due to any injuries, damages or losses to any person (including death) or property of any kind resulting in whole or in part, directly or indirectly, from acceptance, possession, participation, misuse or use of any prize or participation in any Sweepstakes-related activity or participation in this Sweepstakes. Sweepstakes Entities are not responsible for lost, late, misdirected, undeliverable or incomplete on-line entries due to system errors, failures or any technical malfunctions which may limit an entrant’s ability to participate. If for any reason this Sweepstakes is not capable of running as planned, including, but not limited to, infection by computer virus, bugs, tampering, unauthorized intervention, fraud, or any other causes beyond the reasonable control of Sponsor which corrupt or affect the administration, security, fairness, integrity or proper conduct of the promotion, then Sponsor reserves the right at its sole discretion to cancel, terminate, modify or suspend the Sweepstakes. Sponsor is not responsible for any typographical or other printing errors in the offer or administration of the Sweepstakes, including, but not limited to, errors in the printing of posting of the offer or in these Official Rules, the selection or announcement of the winners, or the distribution of any prizes. 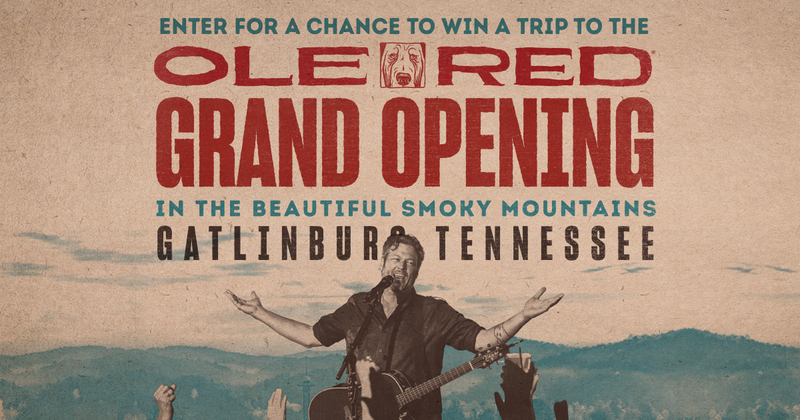 Winners List: After February 15, 2019, you may obtain the name of prize winner by mailing a self-addressed stamped envelope to: Ole Red Gatlinburg Grand Opening Sweepstakes Winner’s List, One Gaylord Drive, Nashville, TN 37214. Requests received after February 28, 2019 will not be honored. Sponsor: Ole Red, One Gaylord Drive, Nashville, TN 37214.